The sequence of binary numbers 01001001 00100000 01001100 01001111 01010110 01000101 00100000 01011001 01001111 01010101 means "I LOVE YOU". But you already knew that didn't you? Contact us if you would like to customize this product. Change the binary words or the design's color. Bag's base color will always be beige - this is your canvas. 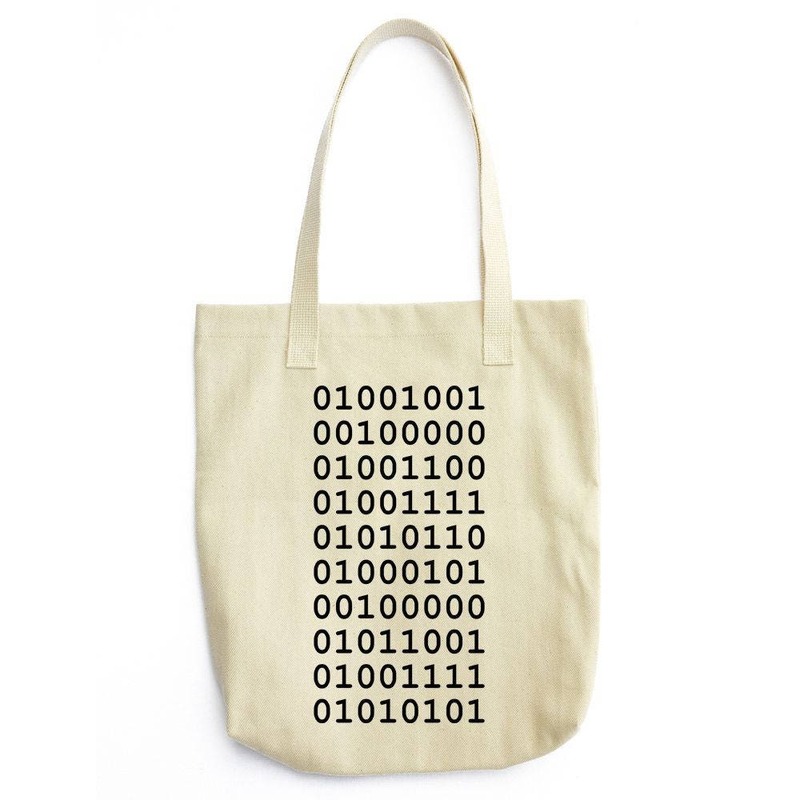 Be creative and we will craft your unique tote bag for you!